Dance CentralNov 4, 2010 (US)Dance Central™, exclusively for Kinect™ for Xbox 360®, is the first real dance game experience that is fun, social and for everyone! 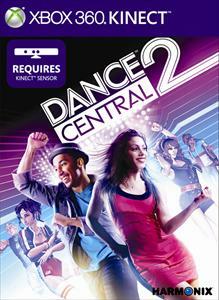 Brought to you by Harmonix, the developers who created the world-wide blockbuster Rock Band™, Dance Central is the fi..
Dance Central 2Oct 25, 2011 (US)Just like it's predecessor, Dance Central 2 uses the Xbox 360's Kinect motion sensor to let you play through a variety of dance moves and pop songs. ..
Fantasia: Music EvolvedOctober 21, 2014 (US)Fantasia: Music Evolved is an all new Kinect music game developed by Harmonix Music for Xbox 360 and Xbox One..
Green Day: Rock BandJun 8, 2010 (US)Green Day: Rock Band aims to allow players access to the full ‘Green Day experience,’ as you “step onto the stage and into the shoes of Green Day, the multi-platinum, Grammy Award-winning band that jump-started the punk-pop revival and has continued ..
Rock Band 2Sep 14, 2008“Rock Band 2” will allow gamers to continue to perform music from the world’s biggest rock artists with their friends as a virtual band. All your original Rock Band 1 down-loadable content will work just fine in Rock Band 2, there is no DRM ..
Rock Band 3Oct 26, 2010 (US)Rock Band returns with another iteration of the popular music game featuring new songs and instruments. Rock Band 3 will have you rockin' out in no time. 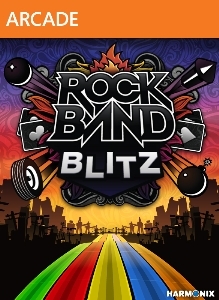 Rock Band™3 is the next generation of the ultimate social and interactive music gaming p..
Rock Band BlitzAug 29, 2012 (US)Rock Band Blitz brings the excitement of a full band into your hands, transforming classic Rock Band gameplay into an addictive, single player experience–no instruments needed! Compete with friends on 20+ new tracks, also instantly playable in Rock B..
Rock Band Music StoreJan 1, 2010The Rock Band Music Store is a new, easier way for you to find your favorite tracks and discover new music for Rock Band, LEGO® Rock Band, and The Beatles: Rock Band on Xbox LIVE. Browse, preview, and download your favorite tracks and track packs for..
Rock Band Track Pack: AC/DC LiveNov 2, 2008 (US)Released exclusively through Wal-Mart, the first band-centric game from MTV and Harmonix focuses on the legendary Australian rockers AC/DC. Will you get your rock on?.. Rock Band Track Pack: Classic RockMay 19, 2009Rock Band Track Pack: Classic Rock is a standalone software product that allows owners of Rock Band and Rock Band 2 to keep the party going with more hit songs from the pantheon of rock music. In addition, Rock Band Track Pack: Classic Rock, like all..
Rock Band Track Pack: CountryJuly 21, 2009Rock Band Country Track Pack is a standalone software product that allows owners of Rock Band and Rock Band 2 to keep the party going with 21 songs from an outstanding mix of country artists, including Kenny Chesney, Alan Jackson, Shania Twain, Rasca..
Rock Band: Track Pack Volume 2Nov 17, 2008Rock Band Track Pack Volume 2 is a standalone software product that allows owners of Rock Band Special Edition, Rock Bandor Rock Band 2 peripherals to keep the party going with more hit songs from the pantheon of rock music. The 20-song pack features.. The Beatles: Rock BandSep 09, 2009“The Beatles: Rock Band” allows fans all over the world to pick-up the guitar, bass, mic or drums and experience The Beatles’ extraordinary catalogue of music through gameplay that takes players on a journey through the legacy and evolution of the ba.. The Earth Defence Force needs you! Planet Earth is under attack from alien invaders and the Earth Defence Force (EDF) is the only chance for survival. Earth Defence Force 2017 lands players on the f..